‘Bardo for Pablo’ is the second of the three new vinyl releases from Pablo’s Eye on the heritage label STROOM 〰. The music was selected by Ziggy Devriendt (aka Nosedrip) the founder of the label. After ‘Spring Break’ Ziggy wanted this time to focus on the more tribal /dance floor side of Pablo’s Eye. between two lives on earth. or liminal state between death and rebirth. ‘Bardo for Pablo’ is named after a poem of Richard Skinner that features in 'The Malvern Aviator' (Smokestack, 2018). Nana Esi designed the cover. As for 'Spring Break' Nana's artwork is very powerful and enigmatic notably through her choice of a photo by Tiny Geeroms on the front cover. 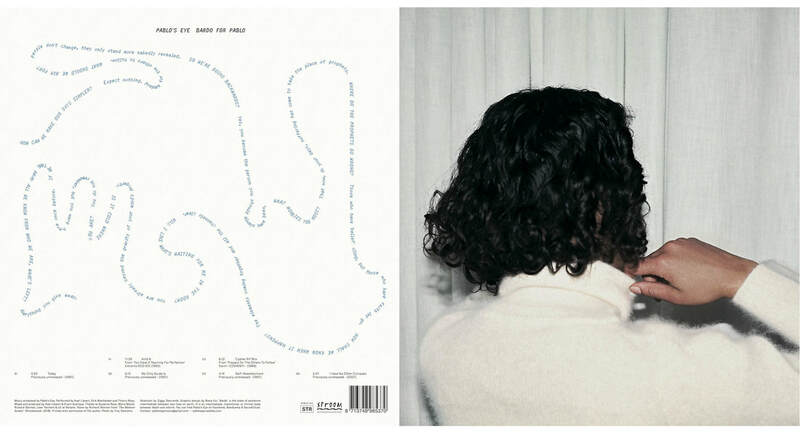 On the back cover Nana reprinted Richard's poem and visually translated 'Bardo for Pablo' into a new form. Words are floating, drifting up and down or sideways taking you slowly to their own choreography. Pablo’s Eye thank Nana for extraordinary design. 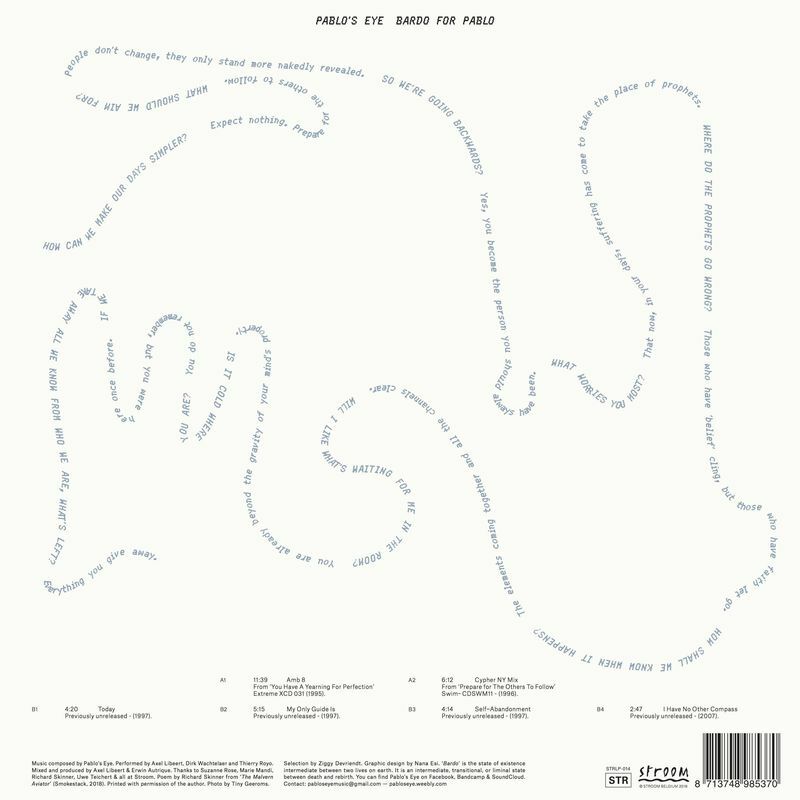 Music composed by Pablo’s Eye. Performed by Axel Libeert, Dirk Wachtelaer and Thierry Royo. Mixed and produced by Axel Libeert & Erwin Autrique. Photo by Tiny Geeroms, Artwork, Graphic Design by Nana Esi. Mastering by Uwe Teichert. You can read Pitchwork's full review here.